A decade ago, the CBC series “Little Mosque on the Prairie” won international acclaim for its depiction of Muslims trying to make their way in a rural Saskatchewan town. At the time, Saskatchewan was home to about 33,900 visible minorities — about 3.6 per cent of its population — and the show broke new cultural ground with its awkwardly hilarious choreography of Canadian multiculturalism’s delicate dance. But the land of the living skies now has a visible minority population of 63,275, driven by rising waves of immigration that have turned the fictional world of “Little Mosque” into a new Canadian reality. Take the tiny town of Frontier, Sask. — home to 280 people in 2006, just 20 of them immigrants. Ten years later, the population sat at 415, including 120 immigrants — dramatic growth driven largely by a local farm equipment manufacturer who found newcomers to Canada to be the only way to address his labour woes. Many of the workers Honey Bee Manufacturing brought in were from the Philippines; that country generated 15.6 per cent of all new immigrants to Canada between 2011 and 2016, followed by India at 12.1 per cent and China at 10.6 per cent. But while populous provinces like Ontario and B.C. were once the destinations of choice for new arrivals, more and more of them have been flocking to the Prairies, lured by more promising work prospects. The percentage of new immigrants living in Alberta reached 17.1 per cent in 2016, compared with 6.9 per cent in 2001; In Manitoba, it went to 5.2 per cent, up from 1.8 per cent; and four per cent in Saskatchewan, up from one per cent 15 years earlier. Where the jobs have been for the last five years is where the immigrants are going, said Lori Wilkinson, a sociology professor at the University of Manitoba who directs a research group focusing on immigration in the West. In Alberta, growth in employment reached 7.8 per cent during the census period, compared with a national average of just five per cent. And while the downturn in the oil and gas economy in the last year has surely slowed some growth since the census, economic immigration remains the dominant motive in attracting newcomers. “We’re looking for people to fill gaps in the labour market,” Wilkinson said. 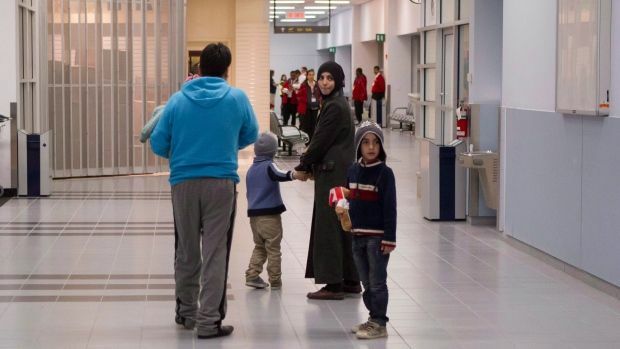 In Saskatchewan, as elsewhere, there’s been a commensurate spike in the number of newcomers who enter under the family reunification class, as well as refugees. 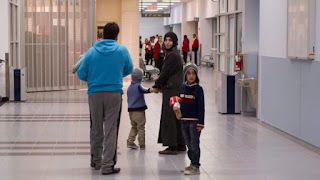 During the first four months of last year, refugees accounted for one-quarter of all immigrants admitted to Canada, a spike Statistics Canada attributes to the massive wave of refugees from Syria who arrived in 2015 and 2016. Rhonda Rosenberg, the executive director of the Multicultural Council of Saskatchewan, tells a story of Mennonites reaching out to recently arrived Syrians in the town of Rosthern, Sask. The Mennonites quickly realized their pork-heavy diet wasn’t suitable for Muslims, and the two sides worked together on a more amenable menu. A wider understanding of the two faiths has since evolved, and with it, a better sense of community. “It’s better and it’s worse at the same time,” Rosenberg said of how the province has welcomed newcomers over the last decade. Saskatchewan, like many provinces, has seen anti-refugee and anti-immigrant groups gain visibility in recent months, especially in light of racially charged protests and counter-protests in the U.S. over the summer. A sense from non-visible minorities that they are under threat has led to the explosion of the so-called “alt-right” in the U.S., sentiment that’s also believed to be fuelling the populist political movement there and around the globe. In the U.S., the visible minority population rests at about 37 per cent. The census data released Wednesday showed that in Canada, the visible minority population has reached 7.7 million, 22.3 per cent of the overall population and seven times the number first reported in 1981. In Canada, however, the forces that could drive populist political forces are far broader than the immigration debate, said Frank Graves, president of Ekos Research, which has studied the issue extensively in recent months. “As immigration has unfolded, it is largely seen as softening, not hardening, attitudes to diversity,” Graves said. Another supposed bulwark against a populist sentiment overtaking Canadian politics is the electoral system, where ridings dominated by visible minorities are also proving to be ridings central to any party’s hopes of forming a government. In time, Statistics Canada will use the immigration data it published Wednesday and break it down according to the federal electoral map. The 2011 national household survey found nearly three dozen ridings where visible minorities made up at least 50 per cent of the population, and a further 77 where visible minorities were between 20 and 50 per cent, according to an analysis by Andrew Griffith, a former director of multiculturalism and citizenship for the federal government. That number is sure to go up, and parties will in turn seek to court those votes, not alienate them, Griffith said.